Foursome. 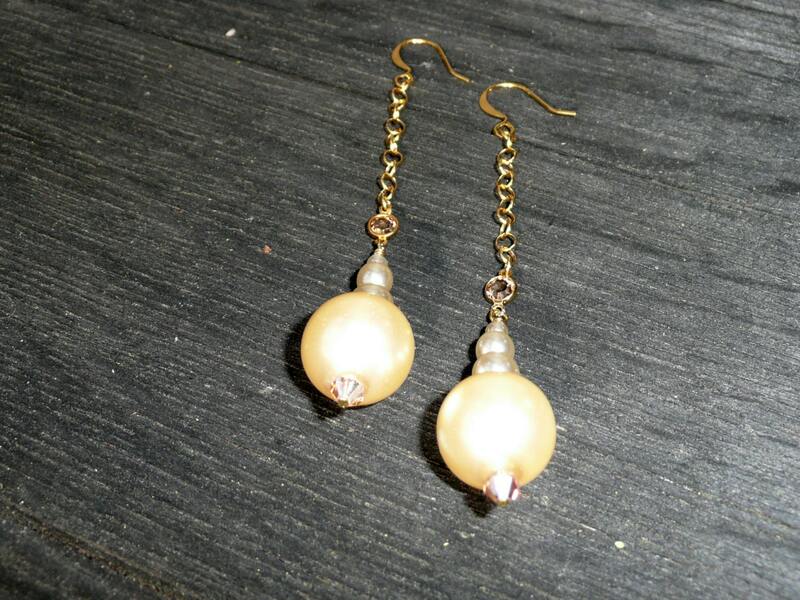 Beautiful dangling earrings with pearls and Swarovsky accents in gold and champagne tones. 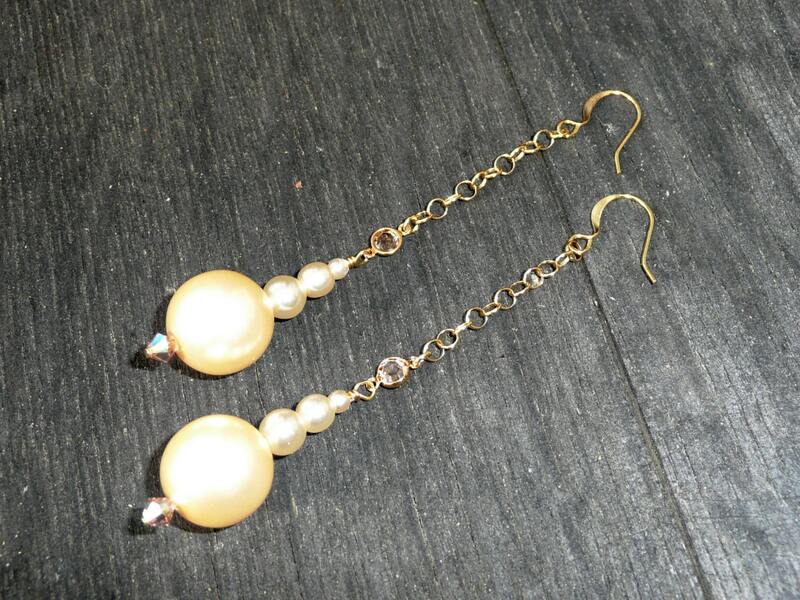 Beautiful dangling earrings with pearls and Swarovsky accents in gold and champagne tones. 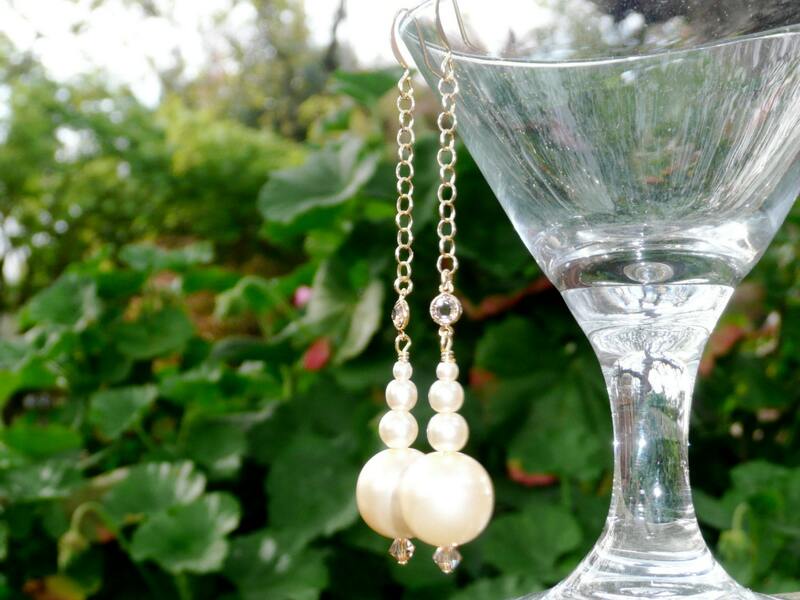 This elegant earrings feature four graduated pearls in champagne tones, hanging from a Swarovsky connector attached to a gold plated rolo chain. When wearing these earrings you'll feel like a fairy tale character. Perfect for a bride that will cherish them and use them all over again to give some glam to an evening outing.